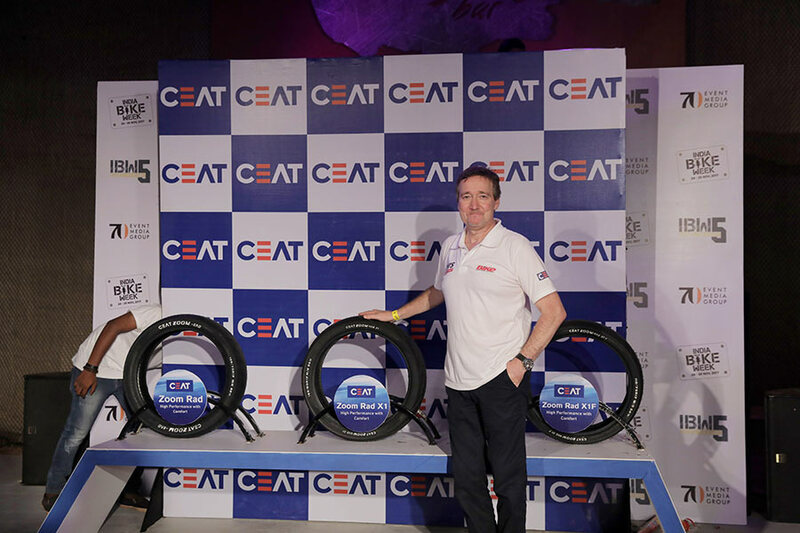 CEAT Limited, a leading Indian tyre manufacturer launched their premium motorcycle radial tyres ‘Zoom Rad X1’ at India Bike Week 2017 (IBW)– one of the biggest biking festivals in Asia. The grand unveiling of the premium radial tyres was done by Freddie Spencer, one of world’s greatest motorcycle racers. ‘Zoom Rad X1’ comes with ‘H-speed rating’ that provides high performance up to speeds of 210 kmph for premium bikes in the 200cc to 400cc range. These tyres are especially designed to cater specific needs of sports bike enthusiasts from across India. High performance-led ‘Zoom Rad X1’ tyres offer superior control and comfort at high speeds to enable a rider to embark on an exciting road journey. Other major features of the tyres include its soft and high grip compound for better leaning and cornering abilities. Such premium tyres are best suited for the riders of KTM Duke, Bajaj Dominar, Yamaha R15. These tyres will be available in 130/70R17, 110/70R17 and 150/60R17 size. Growing demand from High Net Worth Individuals (HNIs), shift in aspirations of youth and rising presence of new premium motorcycle assembling facilities is driving premium motorcycles market in India. Bikes in the 200cc-400cc category are currently the fastest growing motorcycle segment and offer the best value in terms of capability and endurance on Indian roads. We are very glad to launch our premium motorcycle radial tyres, Zoom Rad X1 at one of Asia’s biggest biker events – India Bike Week 2017. We have designed the Zoom Rad X1 tyres considering emerging customer trend leaning towards owning stylish, sportier and desirable premium motorcycles. As per industry experts, the luxury motorcycle market is expected to grow by 20 per cent CAGR in the next ten years. We plan to further fortify our offerings in the premium segment with more product launches in the future. 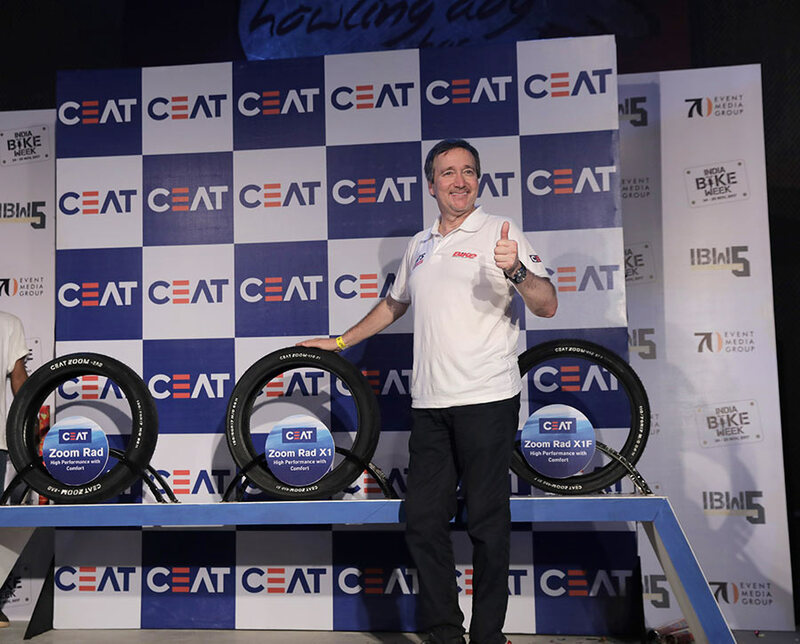 I am honoured to receive an opportunity to unveil CEAT – Zoom Rad X1 tyres at IBW this year. The well-aligned features of these tyres will play a pivotal role to ensure road safety for riders. Radial tyres are best suited for sports bikes due to its flexible sidewalls that assure controlled and comfortable riding experience. CEAT is the safety partner for IBW 2017 and besides ‘Zoom Rad X1’ tyre launch the company is also organizing an experiential Enduro Track Session to demonstrate the superior grip capabilities of of CEAT tyres. The track consists of off-road obstacles like gravel, slalom cones and dirt pit have been created to give the riders a chance to test their off-roading skills and experience the capabilities of CEAT tyres.